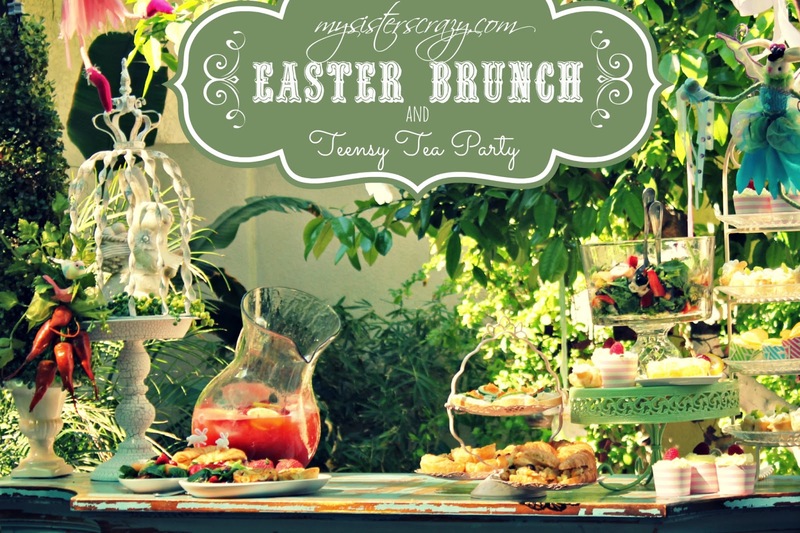 In my opinion, this is the perfect menu for an Easter Brunch or a Spring Garden Party! The quiche is a recipe that my mother has used for many years. One on the things that was really important to her was that I knew how to make a pie crust. She says there is no reason buying a store bought pie crust when you can have one made is less time than it takes to drive to the store. Basically, she is right. It takes 5 minutes and tastes way better! This quiche can be made well ahead of time and put in the freezer. The day you need to serve it is a breeze! Stick it in the oven to bake and it is perfect! When we serve this family style we make it the size of a pie. 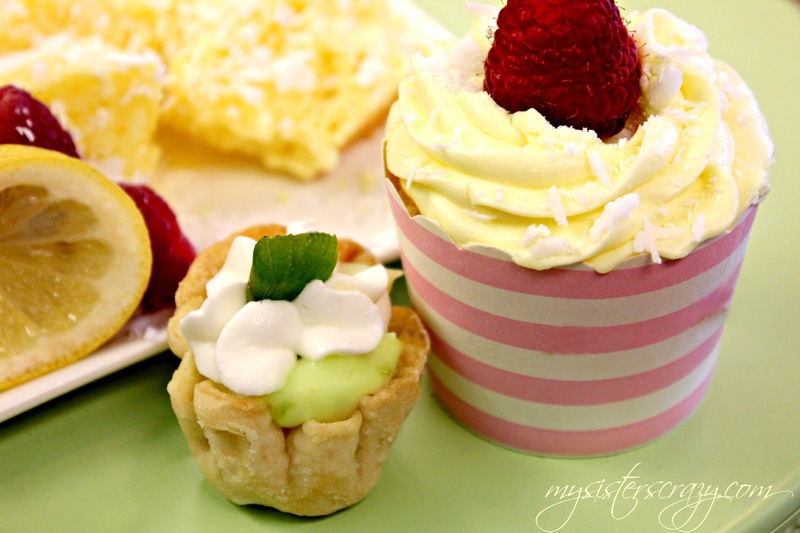 For a party or brunch we make them tiny and bake them in a cupcake pan. I prefer them like this…they are just so darn cute! The croissant is also a lovely choice. It is a chicken salad that has the perfect sweetness from cranberries, tang from fresh lemon, and the perfect amount of spice from a pinch of cyan that is added. The salad is the perfect Spring Salad! 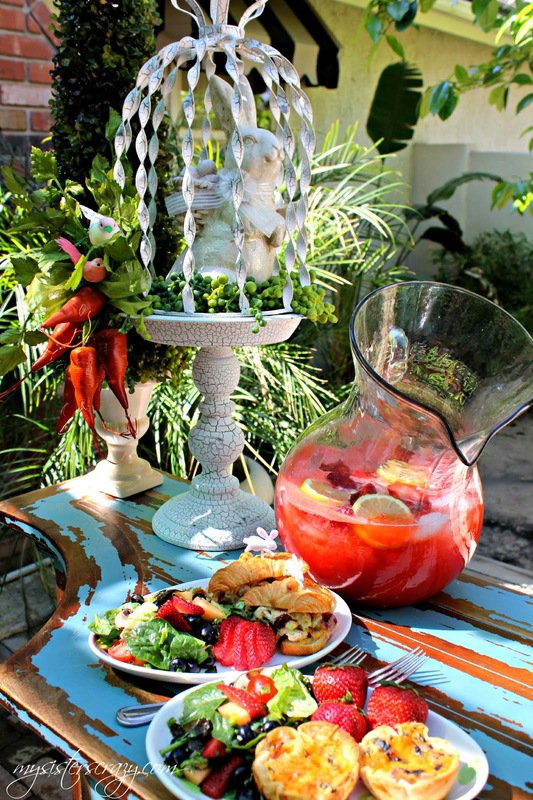 It is loaded with fresh fruits and veggies that complement each other perfectly. It is hard to tell which goodie is the star of the show; strawberries, cantaloupe, blueberries, tomatoes, spinach, red leaf lettuce... my favorite has to be the fresh and perfectly blanched asparagus! Asparagus is at its peak this time of year! Not only is this salad loaded with all sorts of fresh goodies but, it is beautifully adorned with meat and cheese pinwheels! I love the look of the little pinwheels! 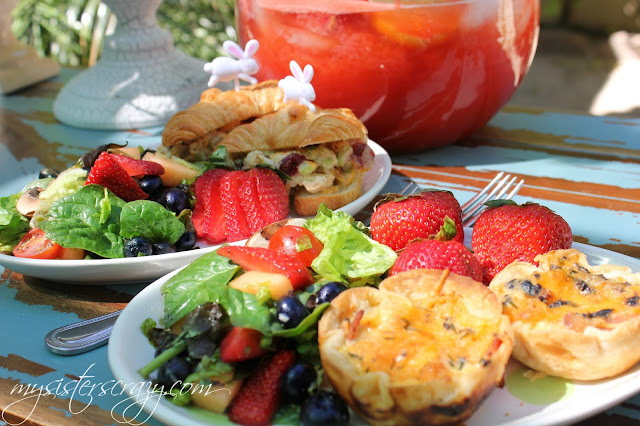 The salad is dressed with a homemade poppy seed dressing, tossed gently, and meat and cheese pinwheels are added last to insure they stay adorable! I used Havarti cheese ....seriously, I love Havarti!!!! I may have a little crush on this salad! DEE-LISH! Let's talk pretty desserts! That is always something I can get behind! These little treats are spring fresh and look fantastic at a garden party! The Kiwi Lime Tarts are seriously to die for!!! Believe me, there are NEVER any leftovers! The White Chocolate Lemon Cupcakes and Mini Loafs are from the same recipe. 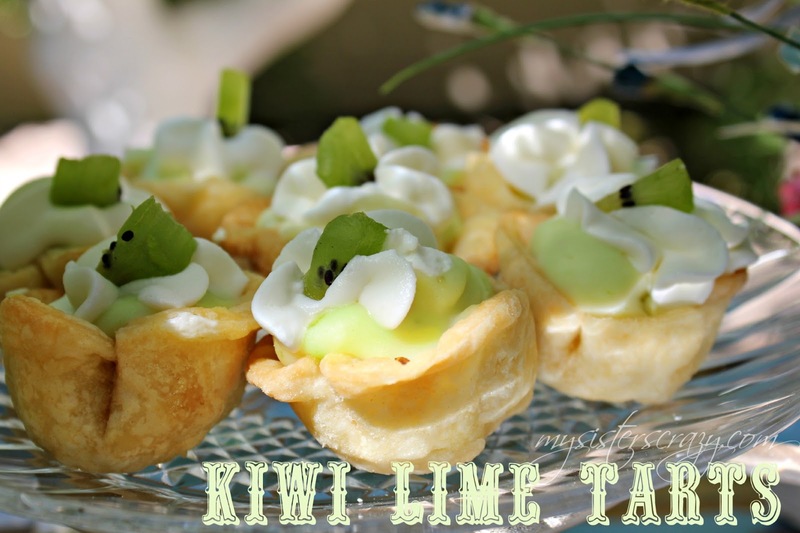 I used the same idea from a recipe that Cindy Bakeman (one of my friends and Channel 12 viewer) gave me at St. Patrick's Day. Her recipe was for sweet pistachio bread that used a cake mix, pudding, and sour cream. I exchanged the cake flavor up to lemon, the pudding up to White Chocolate pudding, and of course still used the sour cream! I also substituted fresh squeezed lemon juice in place of the water. Then when it came from the oven I poked holes in the top and then drizzled a thin lemony glaze over the top! HOLY COW!!! The top of the mini loafs were sprinkled white chocolate shavings and the cupcakes were topped with lemon frosting, white chocolate, and a fat raspberry! LOVE, LOVE, LOVE!!!!! CLICK HERE TO GET THE RECIPES SENT TO YOUR INBOX!! While we brunched...the kids Tea Partied! All of my recent Easter crafting and decorating has all lead up to one great and glorious annual event...Nanny's Teensy Tea Party! (Nanny is my CRAZY mother!) 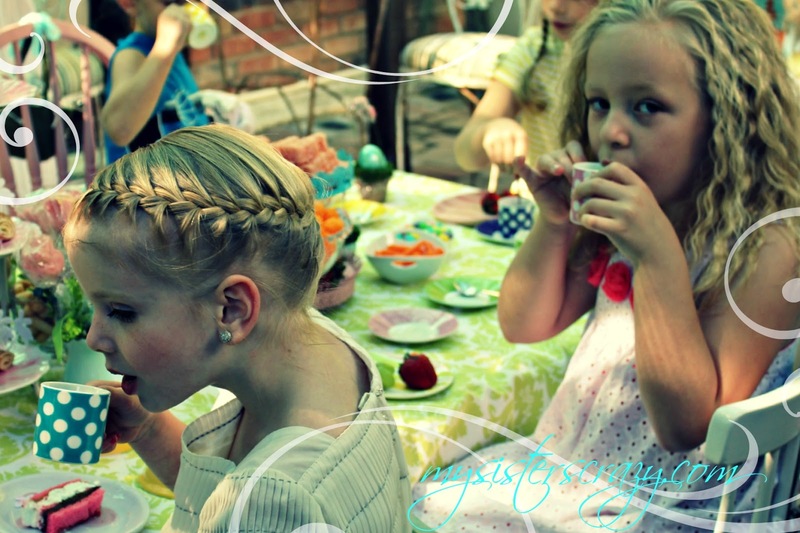 Nanny' Teensy Tea Party has always been the highlight of Easter! 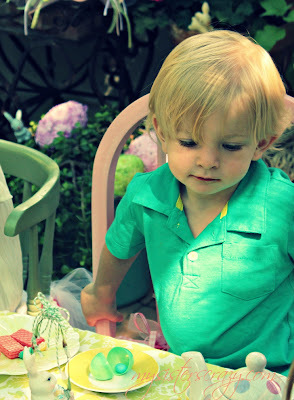 The beautiful spring afternoons, fresh flowers, and adorable children all make for the perfect garden party. It is a great party and I love the prep work all most as much as the party! 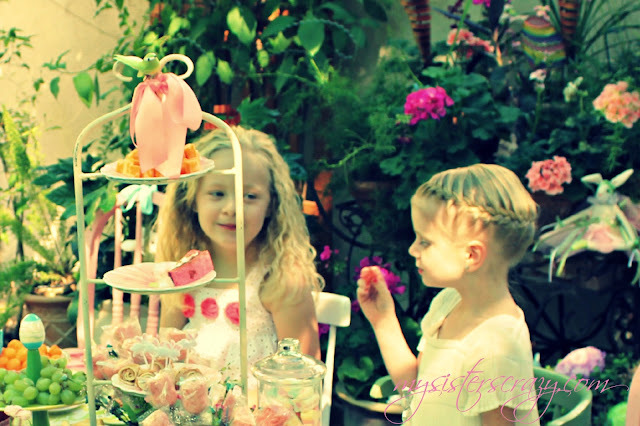 The garden is the perfect setting for such a sweet little party! Each child is given an adorable egg shaped plate, a tea cup, and a tiny spoon. 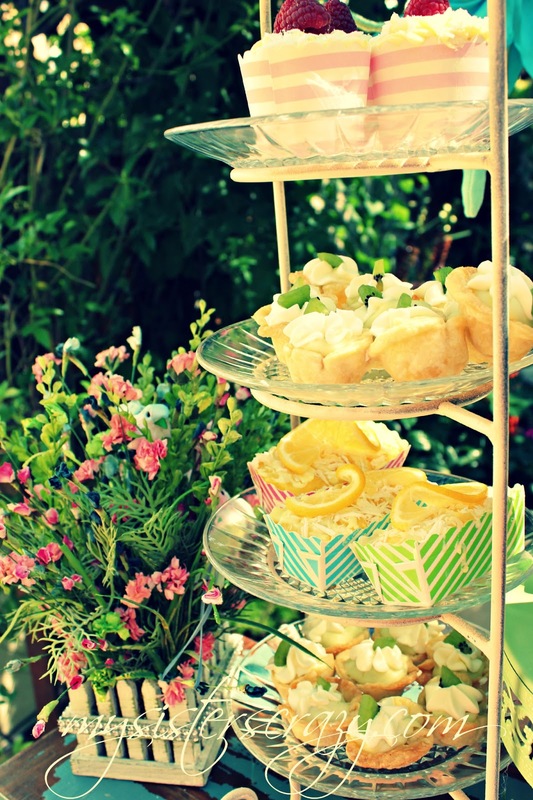 The tea pots are then filled with lemonade and the party begins! This perfectly sized table is loaded with both healthy and not-so-healthy “bunny treats” all of which are easy to do and all finger foods. The "Teensy Tea Party" menu goes as follows...Meat and cheese pinwheels, chicken nuggets, Fluffernutters (triple layered pink bread sandwiches one layer peanut butter, Nutella, and marshmallow cream) , strawberries, carrots, sugar snap peas, grapes, raspberries, cheese cubes, pastel colored marshmallows, jelly beans, Cheetos, tiny pink Rice Krispy treats, and of course lemonade. The kids are adorable and love this sweet little brunch. I think their favorite part of the party is the little bunny bowls of colored sugar. They are allowed (for this day only) to stir this sugar into their lemonade. The tiny dishes make it all the sweeter. These polka dot cups a saucers are a set of latte cups. 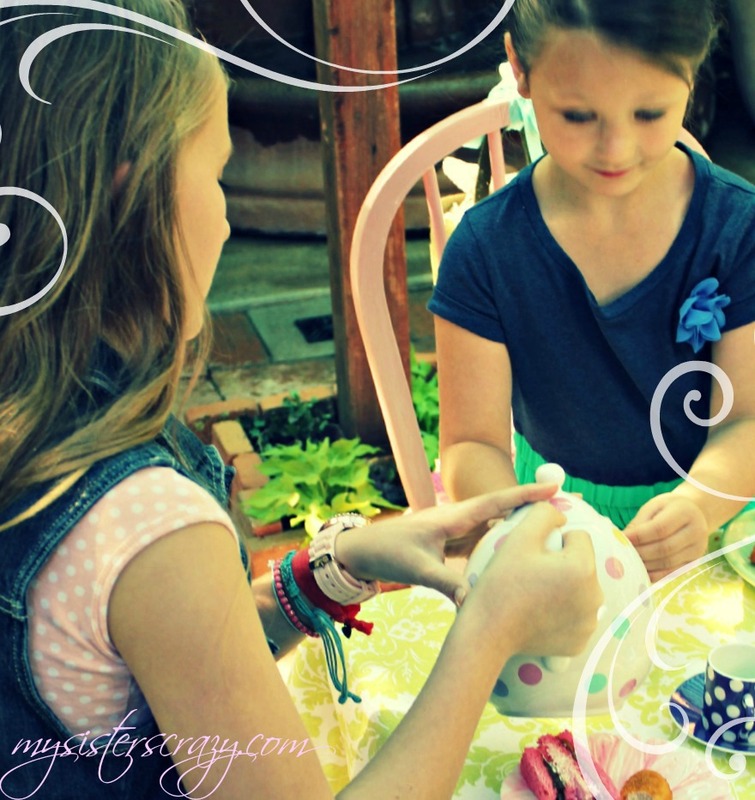 The perfect size for a tea party! The funniest part is they usually don't like the taste of the sugared lemonade...they just like the dumping and stirring part! For all of you who are wondering...I did not teach her to put her pinky up when she drinks...she does that all on her own! They have a great time taking turns pouring each other lemonade from the tea pots, clinking their cups together in a toast like manner, and I swear...I did not teach her to put her pinky up when she drinks...she came that way! 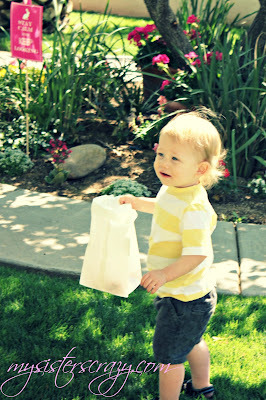 After their tummies were satisfied with bunny treats and lemonade they run out into the yard to search for hidden eggs. 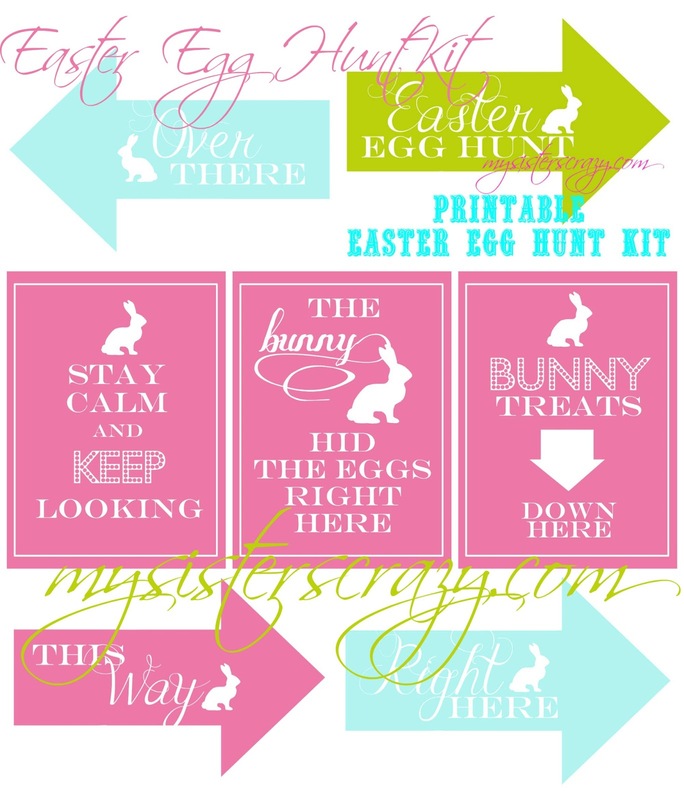 I used my Easter Egg Hunting signs. The vast majority of the kids can't even read...however, I love them! They look great in the yard. The eggs are simple and the kids don't even care! I am all about chocolate stuffed eggs. That doesn't work in Arizona. 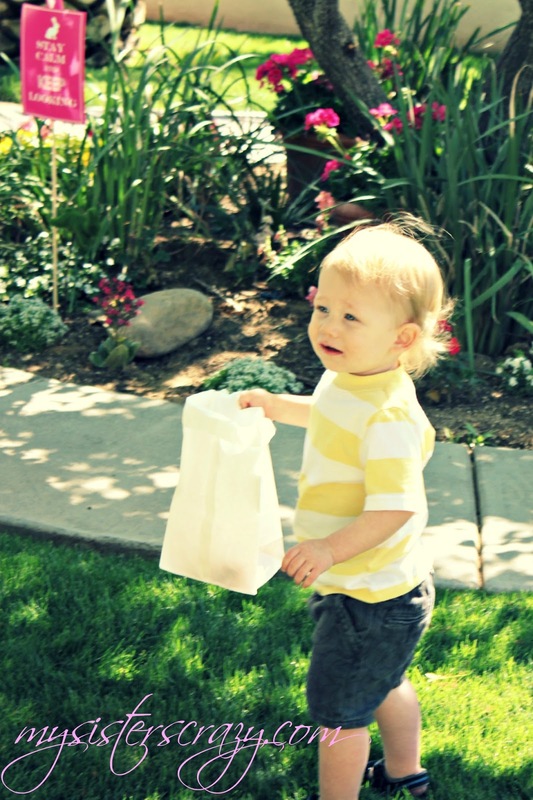 It is too hot to hid chocolate in the yard! 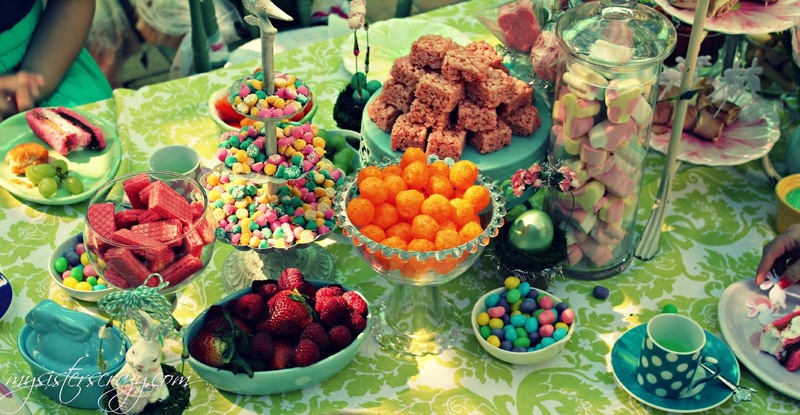 I actually like that...I am not tempted by jelly beans, Starbursts, or smarties! If it was chocolate the kids may have a fight on their hands. The culmination of the day comes with the counting of the eggs. This is serious business! You would think there would be some injustice among the group. Not this little group. If someone feels bad because they are short in the egg count one their cousins offer to share. 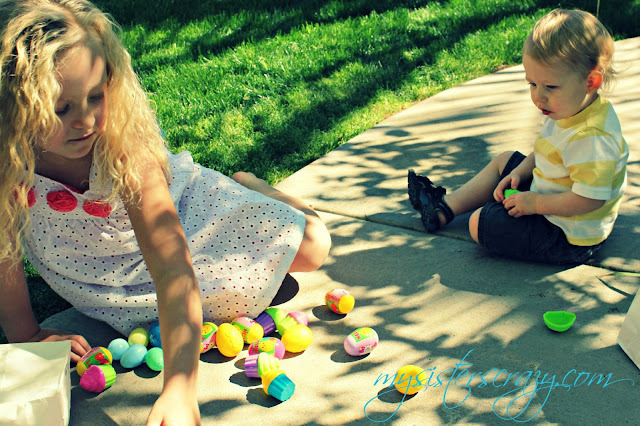 The brutal egg hunt will come on Saturday when the older Grandchildren get involved. There is something that happens when the competitive ones get involved..like I said before...someone is gunna cry! For some unknown reason I had it in my heart to make bunny cake pops for our Easter Tea Party. I have to admit that I am pretty comfortable baking just about anything. 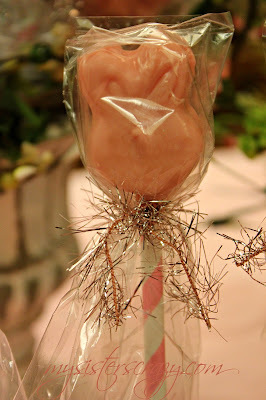 However, cake pops make me scared. I was willing to give it my best shot... and turns out I am pretty proud of myself... they are adorable! Plus, it doesn't hurt that they taste fantastic! These bunny cake pops began like any other cake pop...bake a cake, mix with either frosting or cream cheese, and then shape. 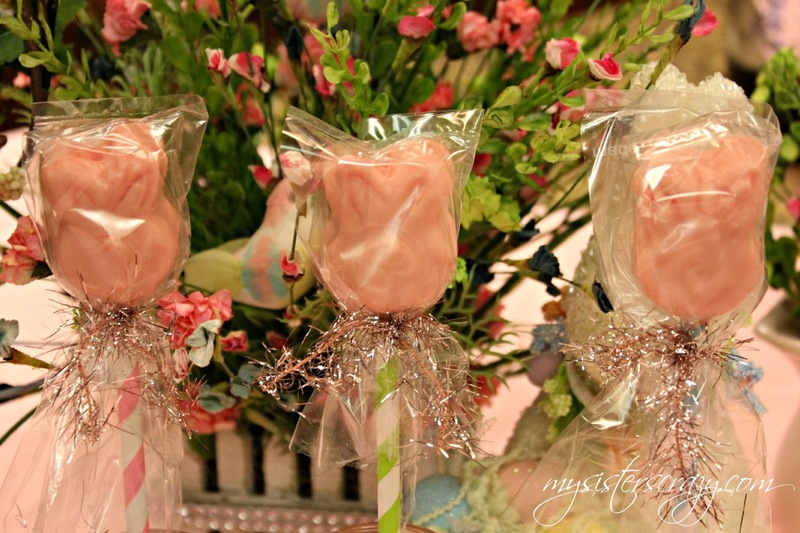 I wanted these cake pops to take the form of little bunnies. The only way I could figure out how to do this is use a silicone tray. I think this tray was meant to be a chocolate mold. This one came from the craft store but, I have actually seen them all over. I put the "dough" into the mold and then put the mold in the freezer. Once they were nice and cold, I pushed them out from the bottom, put them on pretty straws, and coated them with pink chocolate. When the coating was completely dry (which didn't take too long because they were still really cold) I packaged them and tied them with pretty pink tinsel! 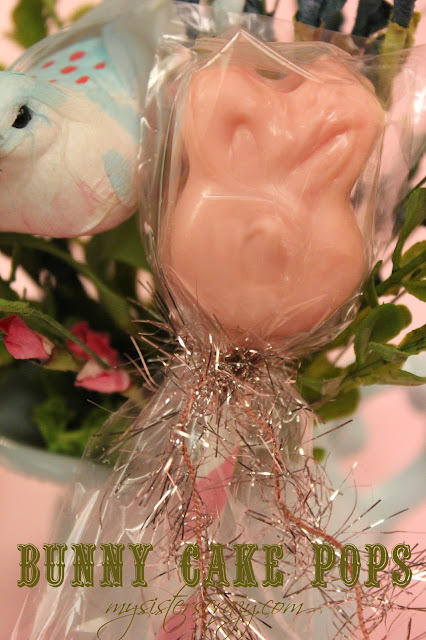 I would like to personally thank these bunny cake pops from the bottom of my heart for cooperating so nicely! 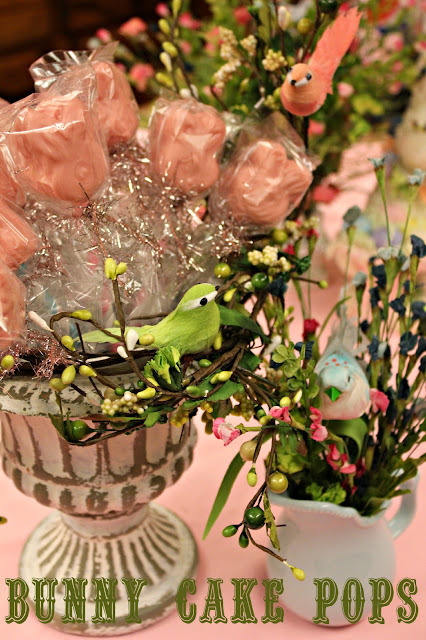 They will make a lovely addition to my Easter treat list and probably won't last very long! DECORATING WITH SPRING AND EASTER CRAFTS.